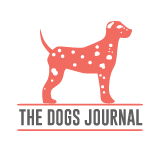 Our website address is: https://thedogsjournal.com. We have SSL Certificate enabled on our website and we make sure every single piece of communication between our website and you are secured and protected. We do not deal with any third parties.